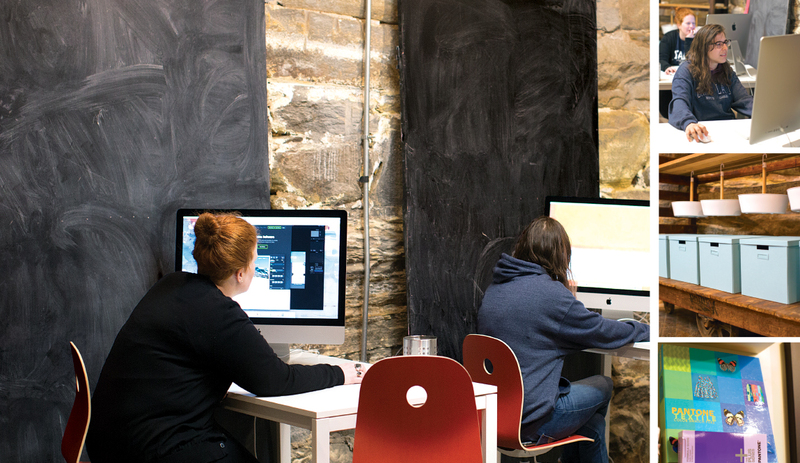 Riverviews Artspace recently became home to a groundbreaking new digital media arts lab called SPARKS. In collaboration with the George Mason University School of Art, SPARKS offers contemporary creative arts and technology workshops to socioeconomically disadvantaged young people in and around Lynchburg. Kim Soerensen, Executive Director of Riverviews, was inspired to start SPARKS when she realized that many of her daughter’s classmates don’t have the same access to technology that her daughter enjoys. A pilot program held at the end of April identified ideal candidates for SPARKS. SPARKS plans to offer workshops on such topics as digital imaging, motion capture, multimedia, computer animation, and film production. Knowledge in these fields can lead to internships and employment opportunities in technical illustration, artistic production, exhibition, broadcast, and game design. 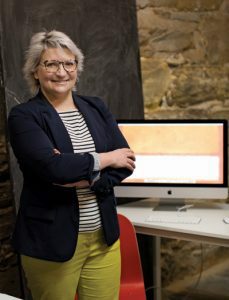 Marketing and media firm Blackwater Branding will provide internships to SPARKS graduates, and Soerensen is also hopeful that graduates will be eligible for occupations beyond minimum wage work. Digital Media Arts Lab: The lab has storage boxes and bowls for each student that contain tech gear, headphones and educational equipment. In addition to renting out studio space to generate funds for the lab, the SPARKS team also plans to organize annual fund drives and offer workshops with fees to the public. SPARKS is still seeking additional digital artists who would like to teach workshops, as well as additional businesses and schools that may be interested in collaborating with the lab. Soerensen has several specific goals for SPARKS in the future. “I hope we will have animation and gaming festivals, offering patrons a chance to see the results of our lab,” she says. “My secret hope and passion is to offer projection mapping, the hottest trend in the arts industry. I would love to see projection mapping and light art festivals right here in Lynchburg and to become the hub of it on a national basis. Why not dream big?